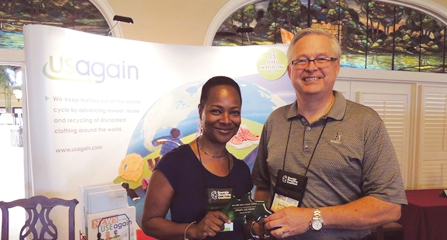 USAgain, a leader in the textile recycling industry, was recently honored for its success in recycling and waste reduction within Georgia during the ninth annual Spirit of Green Awards, held by the Georgia Recycling Coalition (GRC). 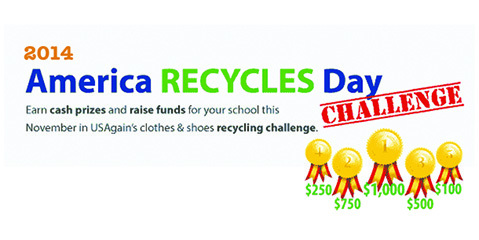 ATLANTA (May 11, 2015) – Atlanta residents are looking to make more room in their closets this spring by ridding themselves of old clothing and shoes should think about the recycling bin instead of the garbage can. 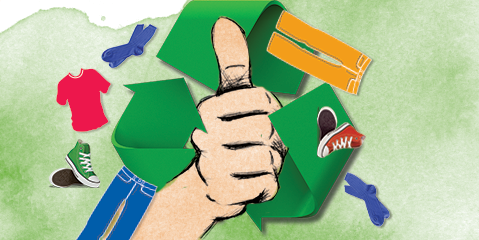 In 2014, seven million pounds of clothing and shoes were diverted from landfills thanks to Atlanta area residents. By diverting 3,482,005 pounds of textiles, USAgain and its patrons prevented 24 million pounds of carbon dioxide from entering the atmosphere and saved more than 5 billion gallons of water and 19,897 cubic yards of landfill space. Recycling in Atlanta is on the rise thanks to April clothing drives held in City Hall and neighboring areas of Cobb County. The surge in recycling opportunities began during a week-long textile recycling initiative with partner USAgain within the walls of City Hall. The drive, held in support of Cartlanta, included two indoor collection bins that yielded 468 pounds of clothing and shoes. Coinciding with Earth Day, the collection culminated with a “recycled fashion show” and had an environmental impact of saving 655,200 gallons of water and 3,276 pounds of Co2 emissions. Additional collection events in nearby areas were held in conjunction with Keep Cobb County Beautiful at Jim R Miller Park and Sprayberry High School. These added an additional 947 pounds of textile recyclables to the areas efforts, resulting in the reduction of 6,629 lbs of carbon emissions and saving 52,300 gallons of water. Setting the standards high, Atlanta city planners were enthusiastic about the opportunity to take lead in an effort to expand recycling with added convenience for residents. With no-added costs to city infrastructure, USAgain’s textile recycling programs make it easier for communities to take recycling to the next level and beyond the traditional categories of paper, plastic, aluminum and glass. Atlanta, a city known for it’s thriving business communities, has been working hard to create a culture of recycling. City-wide initiatives have improved recycling rates from 19 percent in 2010 to a current rate of 30 percent, which is just below the national average of 34 percent. While progress has been made the city continues to work towards it’s goal of a 90 percent waste-to-landfill rate by 2020. The EPA estimates that the average person throws away 70 pounds of clothing per year and the majority of which accumulates with an estimated 12 millions tons of annual textile waste in landfills By depositing surplus clothing and shoes for recycling in a USAgain bin, residents can increase recycling rates while diverting waste from local landfiills and conserving natural resources across the globe. Community organizers hope that as this programming grows, awareness amongst residents will increase. Stone Mountain, GA (Jan. 20, 2015) – Three million pounds of clothing and shoes were diverted from landfills thanks to Stone Mountain-area residents. That’s 795 garbage trucks diverted from going to landfills! The national textile recycler provides an outlet to give surplus clothing a second life through a network of thousands of recycling bins located nationwide. By diverting 3,482,005 pounds of textiles, USAgain and its patrons prevented 24 million pounds of carbon dioxide from entering the atmosphere, saved more than 5 billion gallons of water, and 19,897 cubic yards of landfill space. 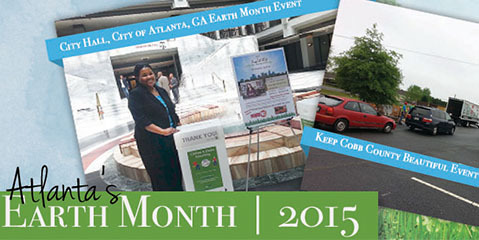 “We want to commend Atlanta area residents for their commitment to sustainability. These collections continue to keep clothing out of our landfills having a positive impact on our environment,” said USAgain CEO Mattias Wallander. “Textile recycling programs are getting attention from municipalities with a goal to improve their overall waste diversion rates and we are working diligently to assist with their goal”. USAgain – a leader in the textile recycling industry since 1999, USAgain is a for-profit company that recycles and reuses clothing, shoes and other textiles. Its mission is to provide consumers with a convenient and eco-friendly option to rid themselves of excess clothing, which is diverted from landfills. USAgain maintains more than 12,500 collection bins in 19 states. For more information, visit www.usagain.com. With the change of the seasons comes a change in our clothing wardrobe. 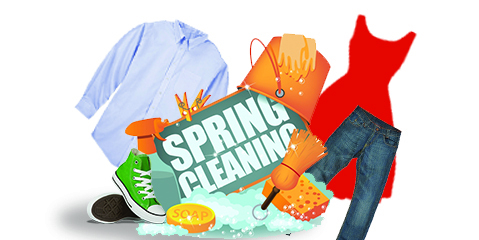 It’s out with the old and in with the new, but where does all your old clothing and shoes go? According to the United States Environmental Protection Agency, about 85 percent of all recyclable textiles end-up in landfills every year, where it occupies roughly 4 percent of the entire landfill space. Rather than tossing your unwanted clothes and shoes, drop them off at one of the many USAgain bins located throughout the Athens area. USAgain, a green for-profit enterprise, works diligently to reduce the textile waste in the U.S., which helps preserve natural resources, save landfill space and prevent greenhouse gas emissions. Approximately 60 percent of the items received in a USAgain bin are resold at thrift stores. The remaining 40 percent are recycled and made into new products and textiles.